Asian Ethnic Laser Resurfacing by Dr Philip Young Aesthetic Facial Plastic Surgery Bellevue | Seattle: Asian patients tend to develop moles and sunspots more so than the rest of the patient population. This is also something that is found other ethnicities. We explain some topics on hyperpigmentation and hypopigmentation on our Asian Ethnic Laser Resurfacing Page. Hyperpigmentation can happen as you age. As you can see in the before and afters above, the laser resurfacing really helped this person out. Some of the moles are still there and these can be addressed as well. This particular patient wanted overall improvement and didn’t want all of the moles gone on his face. You can see our mole removal page and some before and afters here: Aesthetic Facial Plastic Surgery Mole Removal. Laser resurfacing can be used to take the top layers of the skin down so that the deeper skin cells are able to resurface | reline the skin that has been taken away. In this process, the sun spots are reduced and fine wrinkles are smoothed away and improved. You have to be really careful to keep the laser resurfacing at a safe plane or depth. You can see more before and afters by visiting our laser resurfacing webpage. We have treatment for some of these conditions including pseudohyperpigmentation. 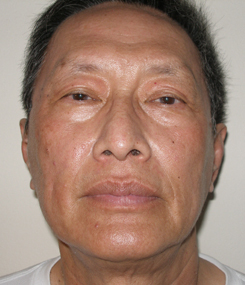 We use topicals to lighten the pseudohyperpigmentation that occurs a lot with asian laser resurfacing patients. You can visit our skin care page to read more about these topicals here: Skin Care Products for Anti Aging. Our Mission is to deliver unwavering quality care to improve people’s lives through Facial Plastic Surgery and the YoungVitalizer. 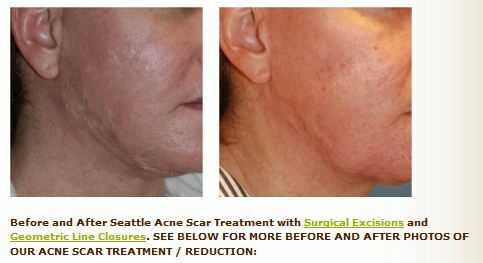 Laser Mole removal and post procedure after care by Dr. Philip Young Bellevue | Seattle: The removal of moles with lasers mostly is done with the co2 laser. This will leave a raw area to heal. The best way to get the most optimal healing is to treat it like any resurfacing. We have a great cO2 laser resurfacing page that has links to help you understand the process. The first couple of days you need to clean the area every 1-2 hours so that no crusting develops and it stays raw and fresh. Contrary to what most people believe, you don’t want a crust there. The crust is actually food for bacteria and it will lead to a lot of inflammation and proliferation of bacteria. This page on Laser Resurfacing Post Recovery Care is more specific on this process. Co2 laser resurfacing video for learning about Active and Deep Fx, Total and Max Fx by Philip Young MD of Bellevue: I always get asked these questions on what is the difference between these terms regarding cO2 laser resurfacing. Active FX is the superficial component that shoots wider spot sizes that are superficial in the depth of penetration into the skin. Deep FX is the deep component that shoots narrow beams that reach deeper in the skin. The Active FX treats the sun spots and the superficial elements of the skin like the fine wrinkles. The Deep FX treats the skin by tightening the skin. When you combine the two it is considered total FX. Both Active and Deep are fractionated and within a 1 cm squared spot size there are more tinier spot sizes that are shot within the 1 cm but they are not completely covering the 1 cm spot. There is healthy untreated tissue within the 1 cm spot size to allow the healing to be faster and your recovery faster. Max fx is when you use Active Fx and the 1 cm spot size is completely covered within and it is not fractionated. With Max I usually do 2 passes to get even deeper. 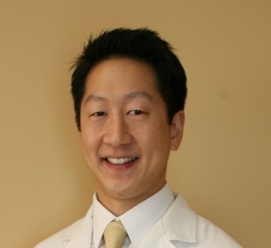 We are releasing a new co2 laser resurfacing live video demonstration by Dr. Philip Young of Bellevue | Seattle. Come see our new video and learn more about cO2 laser resurfacing. We also have very informative pages on laser resurfacing if you are planning to have this with your doctor that would be helpful in preparing for the pre procedure time period and after the procedure. Laser resurfacing involves using a laser monochromatic light (co2, erbium) to remove the top layers of your skin. This action leaves the remaining skin cells located within the hair follicles to “resurface” the areas that have been removed from the laser resurfacing process. In that process you get a renewal of brand new skin over the treated areas. The healing that takes place (under cover) over the next year, leads to an increase in collagen production under the skin cells that tightens the skin layer and reduces fine wrinkles. This gives you an overall improvement to your skin. The lasering of the top layers also removes unwanted skin pigmentation issues, DNA damaged skin cells in the more superficial layers, and other damaged cells and tissue elements. The end results that is achieved is fresh renewed skin with more even pigmentation, decreased fine wrinkles, and more even texture. 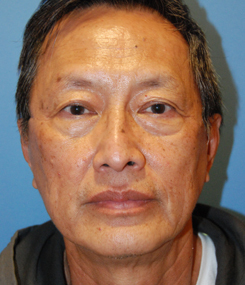 Patient: I wanted to thank you again for your personable consultation the other day. It’s never easy talking to a stranger about one’s insecurities, but you certainly made it comfortable enough that I am considering your recommendations. Just a few questions I first need to ask. Dr. Young: It was my pleasure. 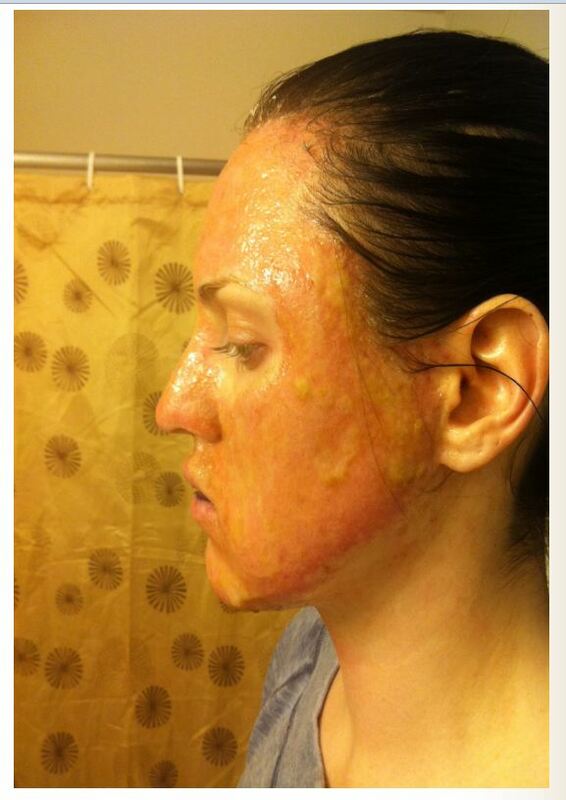 Patient: Why did you choose the subcision with the chemical peel over other procedures? . Dr. Young: I think that laser resurfacing may not fully cause those ice picks scars to come up to the level of the rest of your skin. They (laser resurfacing / dermabrasion / Dermasanding) are better when the surfaces are more closely aligned. and leveled. The chemical peel will get the ice picks to come up and the subcision will make them rise by stimulating from below. Alternatively you can add fat grafting with the subcision for more of an effect. I would do the subcision / fat grafting first and then 1-2 weeks later do the chemical peels so that your skin is not too traumatized. Patient: What are the alternatives? And do they offer similar or less satisfactory results? Patient: What are the side effects of these procedures? Dr. Young: The side effects are mostly swelling, bruising. Sometimes if you are too aggressive the scars could get wider but flatter. That is why I stage the subcision and chemical peels sometimes if the scars are deep and prominent and numerous. Patient: How long is the procedure, and is it performed at the same clinic? Do you schedule surgery on Fridays? 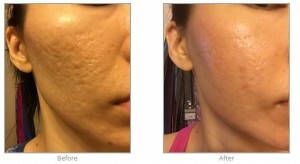 You can see more of our Acne Scar Revision Before and Afters here. Active fx and its help with reducing skin cancer by Philip Young MD of Bellevue: Active fx may reduce your recurrence rate for skin cancer. However, you should know that active fx is a fractionated approach and will get a percentage of your affected cells. Most of the studies on reducing the recurrence of skin cancer are based on complete resurfacing through either chemical peels or laser resurfacing. So, if you really want to reduce your risk of skin cancer I would suggest more complete chemical peels or laser resurfacing. For Active fx, the term would be max fx and this would be more traditional resurfacing and riskier in some sense but safe in qualified hands and a person with experience. We have a tremendous amount of information on our website on these subjects with a photo diary of someone who underwent this procedure. 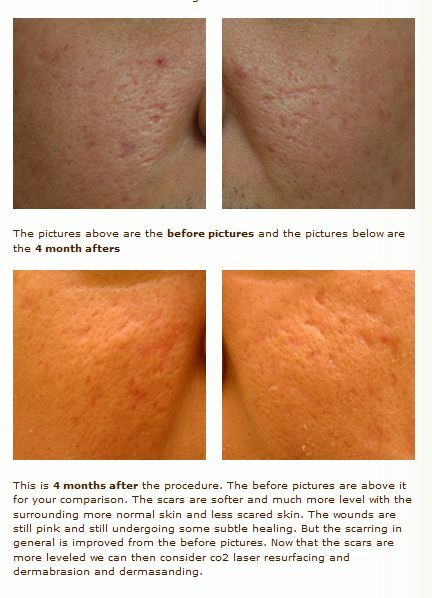 Here is a link to our Laser Resurfacing Photo Diary of Healing.